How Dynamics 365 Improves Customer Engagement? Customers are the epicenter of any and every business, and therefore companies around the world focus their efforts on how to better engage with them. In today’s era, a better customer experience results in strong customer engagement. The service and support are apparent differentiators towards helping achieve this. With the cost of acquiring new customers much higher than servicing the existing ones, it comes as no surprise that retaining existing business must be the focus for the CRM strategy of many organizations. Therefore, Business CRM users must focus their attention on helping their employees engage with the customer to build and strengthen the relationship by exploring deeper into customer needs. It is made possible by researching and refining the needs and preferences to deliver an unparalleled experience. To maintain your best customers, protect future revenues and even acquire new customers, it is vital to leverage the numerous service functions offered by CRM applications. 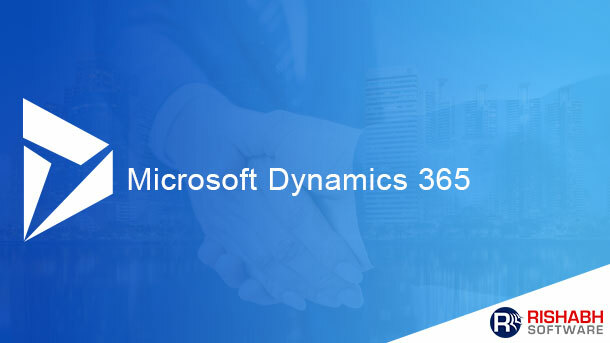 Microsoft’s Dynamics 365 helps empower the CSRs to manage customer engagement with its intuitive interface better to enable the handoff to the sales team. Craft the right messages for your existing and potential customers with compelling words that are a culmination of success stories around innovation and growth. Conveying the Right Message to the Target Audience: Based on customer’s order history, their preferences, and other inputs that help increase user engagement. Dynamics CRM helps to increase customer satisfaction by offering a vast range of ways to segment your customer, prospect and partner data, and further create a targeted distribution list. It will allow you to personalize your communication. CRM helps businesses with the database to track product expiry dates, membership information and other time-sensitive detail to schedule automated emails that help boost renewal rates. Dynamics 365 helps business with ClickDimensions that automates event management for sales teams, right from inviting the customers by processing invitation reminders, to post-event follow-ups and addressing resultant leads. Dynamics 365 even helps identify the dormant customers in your database to target them with compelling offers to re-engage to increase revenue. 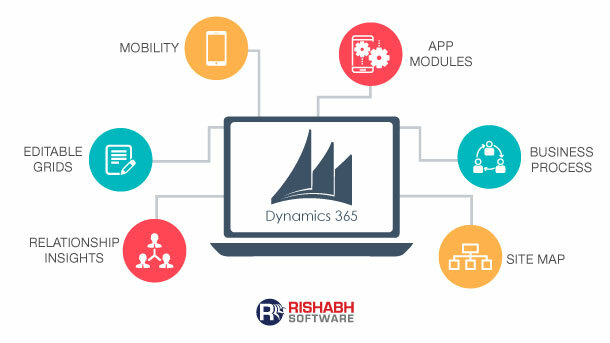 Also, Dynamics 365 offers the opportunity to understand why your customer has not performed any transaction and if the products/services are delivering the said value to them to improve client relations. Customization on Dynamics 365 helps track the customer information in one-go over a single interface so that your teams can respond in record-breaking time to customer requests. Remember, better customer insights lead to better decisions. By connecting Dynamics 365 with your accounting or ERP system, the customer-facing staff must use CRM to improve customer experience with order processing and eliminating possible double-entries in the system. Further, as long-term value, they can even help anticipate the customer’s future requirements with possible recommendations for cross-selling opportunities that will increase account revenue. To deliver the customer with personalized service experience, Dynamics 365 Customer Engagement offers relationship and process detail across mobile, tablet or desktop platforms. The customer-facing teams can use case management tools, with workflow automation helps track issues for clear visibility of outstanding customer service items. Further, the knowledge management, case routing and queue function can help transform the service delivery experience. CRM helps improve customer service with automated email notification help keep customers updated on the progress for service cases, with which are currently open, updated or closed. 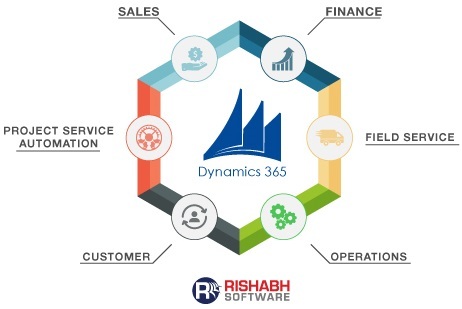 Customer self-service portals along with CRM systems enhance customer satisfaction from Dynamics 365 offers a combination of contact centers, technical support teams, with service or product information as the “Single-Point Portal” accessible by customers whenever they need it. Dynamics 365 helps capture customer feedback on a timely basis. It is in the form of feedback reports, email alerts, and reports that helps assess the performance towards taking corrective action on the problems. Dynamics 365 dashboards or Power BI helps review service delivery performance and identify improvement areas. The metrics support pinpointing the recurring challenges on support or service front and even quantify the percentage of issues resolved over service calls. We hope the above points offer you with an outlook of how Dynamics 365 for Customer Engagement from a Microsoft Dynamics CRM Development team can help you increase your business potential.